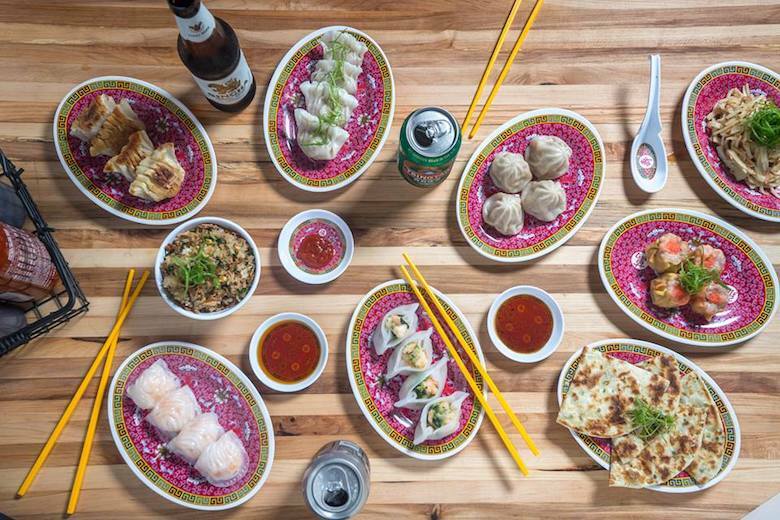 Calvin Eng, a former fast-casual sous chef at Dig Inn, is Nom Wah Nolita’s chef. Photo credit: Facebook/Nom Wah Nolita. 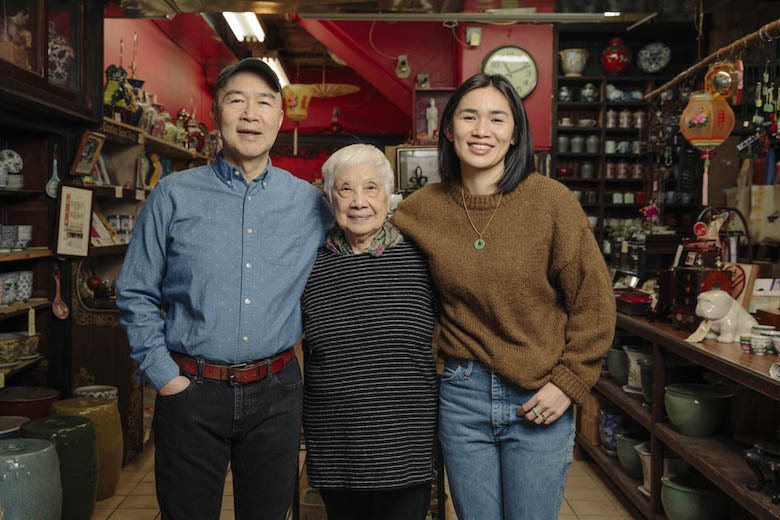 Since it opened on a narrow Chinatown street in 1920, Nom Wah Tea Parlor has evolved alongside the changing neighborhood. Lines first wrapped around the corner for their dreamy mooncakes, but once in the door, customers noticed the dim sum menu that’s now one of their signature offerings. When Wilson Tang later became manager in 2011 after his uncle Wally (Wally bought out the original owners in 1974), he capitalized on the restaurant’s popularity and brought Nom Wah to Philadelphia in 2015. In 2016, Tang decided it was time to make dim sum dining even faster but a little less chaotic. 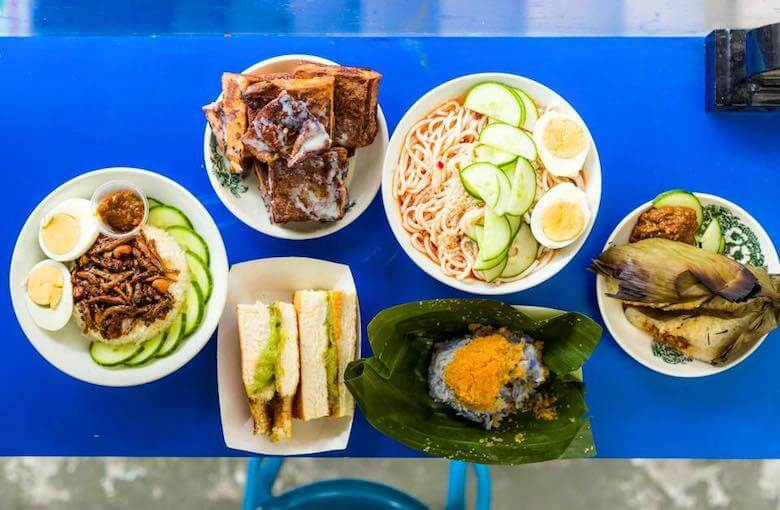 He and his team chose to cut their teeth in the burgeoning fast-casual scene taking over New York City and brought aboard Calvin Eng, a former fast-casual sous chef at Dig Inn, as his chef at Nom Wah Nolita: a second New York location with self-service ordering kiosks. 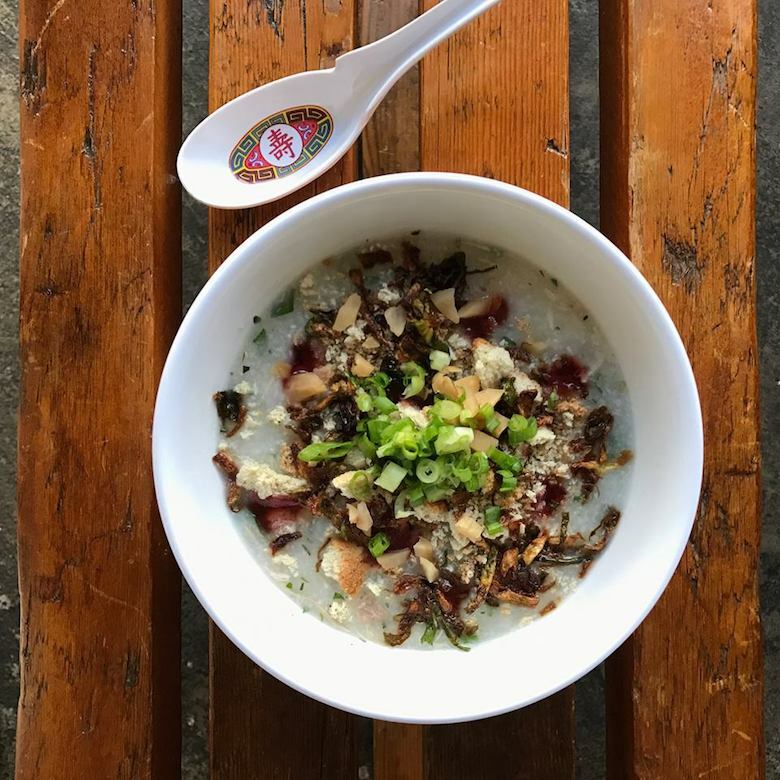 Nom Wah Nolita’s “Katzgiving “congee featuring Katz’s Delicatessen”s turkey. 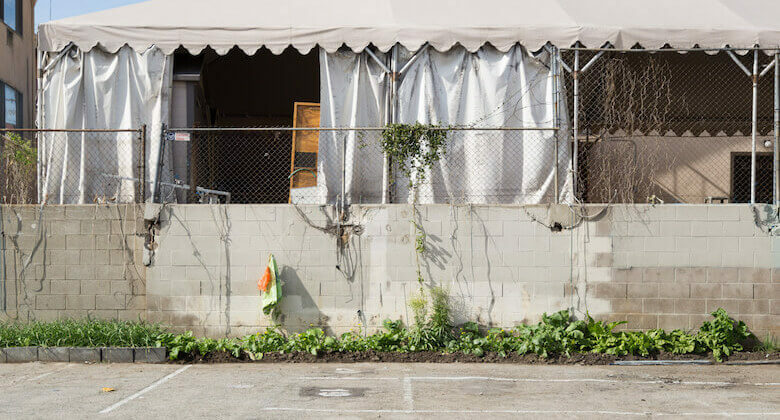 The restaurant, located at Kenmare and Bowery, borrows traditional menu items from the original Nom Wah location, but Eng keeps regulars intrigued with modern, personal spins like daikon slices with bacon XO sauce. He also makes weekend specials like the fiery stir-fried dank shank noodles that include soy-braised beef shank, spicy pickled kohlrabi, dank shank demi reduction, chili oil, fried shallots, scallions, cilantro and ho fun rice noodles. Despite the updated menu, the standard Nom Wah prices haven’t changed much. During a visit last fall, my bar-height table was littered with plastic plates that reminded me of the stacks found in corners of Pearl River Mart. They were piled high with pork soup dumplings, kohlrabi salad, steamed ribs, buns, Cantonese-smoked chicken leg with ginger and fried rice with seasonal veggies. These generous portions netted under $40. While I prefer ordering at the counter, the self-service kiosks are helpful for those can’t hit pause or need to keep the small talk to a minimum. But the friendly staff, under the leadership of Eng and manager Zhiyu Lai, will offer strong recommendations and witty banter if that’s what you want.